Growing herbs indoors is a popular hobby for many gardeners. It helps pass the long winter months, and for the rest of us, it makes snipping off that sprig of thyme and leaf of sage that much easier. Another great reason to grow herbs indoors is to have a plentiful supply of medicinal herbs on hand. Many of the very herbs you snip into your soups and sauces can also be used to soothe that cough or itchy rash. 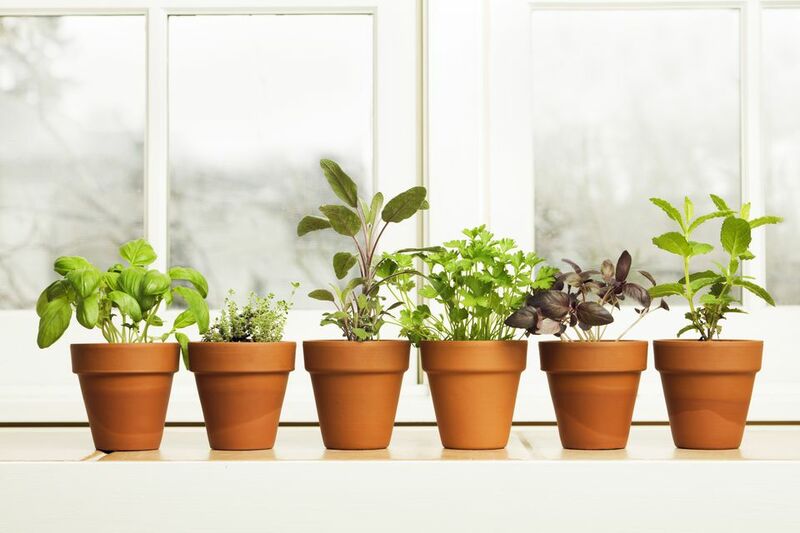 It may not sound very appealing, but you can grow enough fresh herbs on your countertop, for many of the family minor illnesses that happen on a daily basis. Herbal healing is more than just smearing on a salve or popping an herb-filled capsule. It is also the scent and sight of many plants, all offering their quiet healing to our senses. The simple act of growing and caring for our plants can bring us a spark of hope – reminding us that spring will come again and things will get better. Back to reality, it is wonderful to be able to cut a sprig of thyme while the water boils, and make a cup of thyme tea that is vibrant and fragrant – you know it will be effective when it is that fresh! Plus, if your coughing, frustrated child says that it doesn’t smell that good, simply cut off a little mint and add that. How simple, when you have them all growing right at your fingertips. Another tip from a mother of 5, the distraction of looking for, cutting and preparing a few fresh herbs, for a cup of tea, has soothed many cranky children with colds throughout the years. The same herbs that you can cook with every day, you will also be able to make tinctures, teas, washes, and salves with. I often make cough drops and one of our family favorites: cough syrup, with the very same herbs that are growing on my countertop. No matter how well you care for your indoor medicinal herbs, eventually, they will have to be replaced. If this is during the colder months, you will have to take into account the growing time, before they will be large enough to harvest. Usually, this is at least 4 weeks, more like 6 weeks. Not to worry! You can use the herbs for medicinal purposes, use them for cooking, AND still have enough to save up a supply of dried herbs for those few short weeks before the new seedlings have developed enough to harvest from. What Problems Can I Have Growing A Medicinal Herb Garden Indoors?